So I’ve been driving almost a week now and it still feels so surreal. I can’t quite get my head around the fact that someone thinks I’m safe enough to be let on the roads. I’m still a bit juddery at times with gear changes so I need to learn to stop being so quick with the clutch. Mr T keeps telling me it will get better the more I drive and the more I get used to the clutch but so far I’m not convinced. I’ve been taught not to accelerate hard yet my car only has a little engine so it needs a bit of ompf to get it going. I also need to learn to bay park properly, why don’t they teach us this in the lessons? I know reverse around a corner is similar but it’s not the same. I want to go on little shopping trips but I can’t until I master bay parking and I know it will all come with time and experience but I’m impatient and want to be able to do everything yesterday. But anyway…. 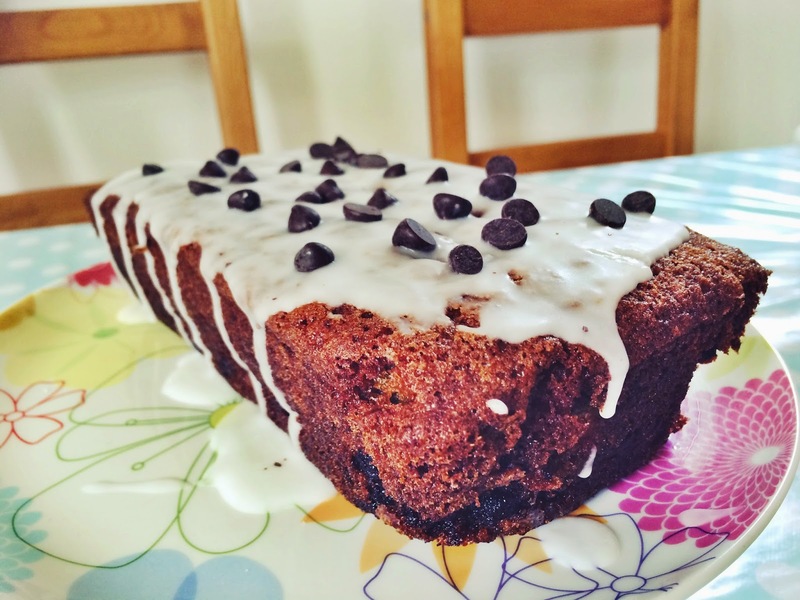 back to things I know I’m good at and can control – cake! I love banana bread but I was bored of my usual recipe and wanted to try something different. 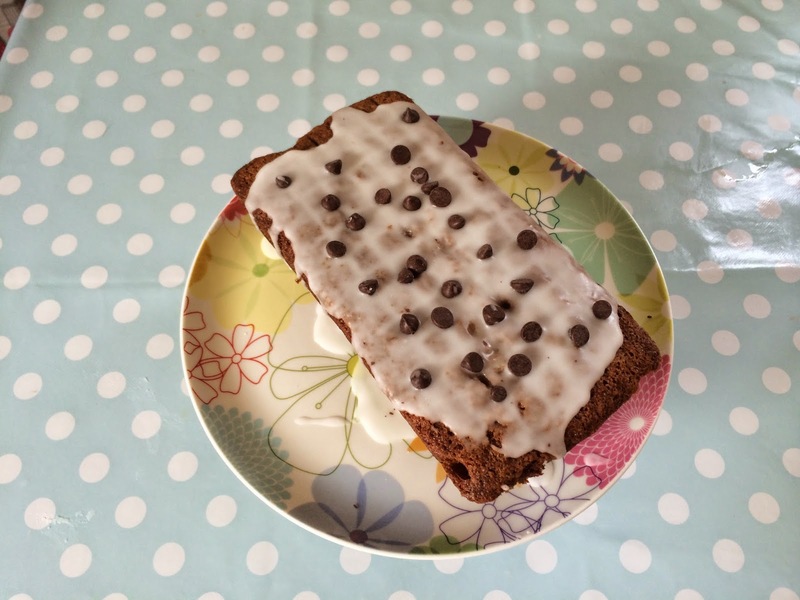 I had a nose online and came across this chocolate banana loaf by good old Mary Berry. There were very overripe bananas in the fruit bowl and some chocolate chips in the cupboard so I knew I could whip this up without having to nip to the shops. That’s my pet hate, taking a notion to bake then realising you are missing a key ingredient. As always I have made a few tweaks (ok I doubled everything) but the original quantities just weren’t enough to give a good size banana loaf. I also opted for an icing glaze to decorate just cos I love the look of icing dripping down the side of the cake. Preheat the oven 160C (fan). Whisk all the ingredients together (except for the banana and chocolate) until smooth. In a separate bowl break the banana up with a fork. I like a bit of texture so I left the banana quite lumpy. Gently fold the banana into the mixture. Stir in the chocolate chips and spoon the mixture into the prepared loaf tin. Bake for 45-50 minutes until a skewer inserted comes out clean. Leave in the tin for 10minutes then remove and place on a wire rack to cool. Mix the icing sugar and water together until you have a smooth yet thick runny icing. Pour over the cooled loaf and spread with a palette knife if needed. 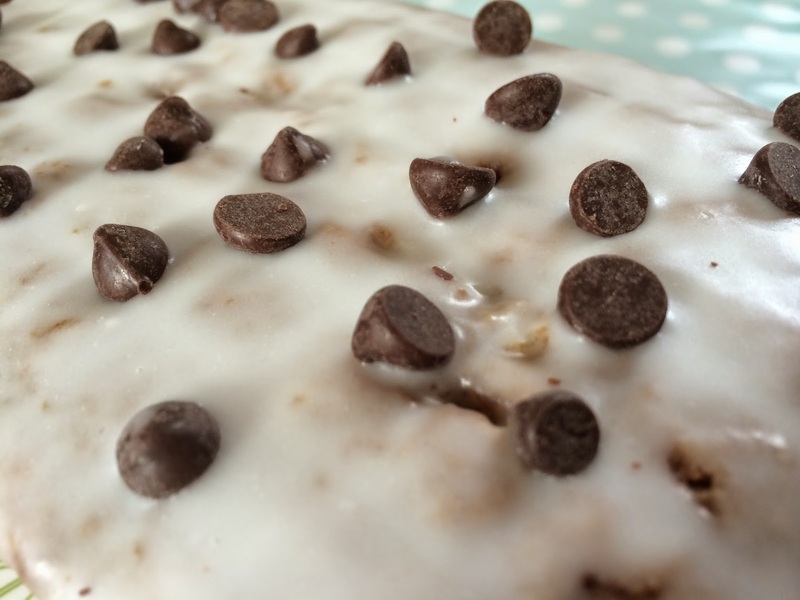 Sprinkle over the chocolate chips and enjoy! PS, who liked GBBO? I really need to get back into practicing bread! I was wondering if I could change Dublin Clutch Replacement since it was not working. But one of my friends has told me to go to a mechanic shop to repair that or replace that.